Danielle Desir is a Travel Finance Strategist that uses her financial background and knack for financial planning to empower those who want to travel afford a life of travel while excelling in their personal finances. She shares creative planning strategies, saving tips, cheap flight deals and more on her blog, The Thought Card. A long term traveler looking to visit every country in the world. I'm a travel blogger with 37 countries under my belt and a love of exploring solo! By day I work as a professional copywriter in the luxury travel industry, and so far the day-job has seen me master the language of a wealth of brands; give an entire smart city a voice; talk travel for a plethora of popular blogs and craft compelling copy for a host of international clients, including GHM Hotels, Palace Hotel Tokyo, Four Seasons and Aman Resorts. By night I like to keep my own blog looking healthy and can usually be found planning my next trip! I believe life is meant to be lived pushing yourself to new limits, and exploring all you can of this magnificent world. Whatever your budget, there's always a way to get started on your journey! And I'm here to help you on your journey with advice, helpful information, and inspiration. I am one of the creators of the travel website, Wander The Map. My husband and I are are filmmakers and photographers who travel the world in search of outdoor and urban adventure. We have spent several weeks in Iceland and love sharing stories about our adventures throughout the country! I am a travel writer and photographer who is slightly obsessed with all things Icelandic. I spent five weeks in the country last winter, and plan to visit again soon. If you have any questions about traveling throughout the country as a vegan, or where to go while traveling solo, please let me know! Vicky and Chris, award winning travel bloggers who love travelling the world. We class Iceland as one of our favourite countries and love spending time there and exploring. I've been travelling the world on an extreme budget for five years straight, and I did Iceland on next to no money! Originally from Portland, Maine (USA), Katelyn has traveled to almost 40 countries with much more on her list to see. When she is not on the road traveling, she is either writing, scuba diving, horseback riding, or hiking. I lived and worked in Buenos Aires, Argentina for 2 years and also attended Universidad de Cuyo in Mendoza, Argentina for a semester. I lived in Fajardo, Puerto Rico for 2 1/2 years. I brought my dog to and from Argentina and Puerto Rico (from the US) so I am very familiar with the process of traveling with an animal. I also got a work visa in Argentina and I am familiar with that as well. I am fluent in Spanish and did most of my travels solo and on a budget. Jono is a writer and comedian from Australia, now living in Iceland. Hello moi c'est Christophe. Jeune voyageur en quête de nouvelles découvertes partout dans le monde, je pose le pied pour la première fois en Islande pour un voyage hors du commun. Je souhaite partager avec vous mes expériences et conseils de voyage ! I've done a little bit of everything - with a touch of luxury. Ask away! Hola, soy Di! Estoy enamorada de Islandia y mi misión es convencerte de que la visites. Espero que la ames tanto como yo. ¡Buen viaje! A professional travel blogger based in Spain, specializing in adventure travel and unusual destinations. 117+ countries on all 7 continents. Marcus is a digital nomad and freelance writer. A native Englishman, he is always on the move, but can most commonly be spotted in the UK, Iceland, and the Balkans. Nous partons en Islande du 10 au 16 mars. De retour d' un tour d' Islande en 12 jours ( du 18 au 30/06/2018), 2 couples de sexagénaires, prêts à partager notre itinéraire et notre expérience. Bonjour, je pars avec mes deux ados, une semaine en juillet 2019. Je souhaite préparer mon voyage. Nous avons louer un 4X4 et souhaitons plutôt visiter le sud. Je cherche quelques conseils d'itinéraires, de points à voir incontournables sur 1 semaine. On est prêt à bouger mais je voudrais aussi profiter sans courir. Merci pour vos conseils. Mes idées à trier sont : la péninsules de snaeffelsnes, gullfoss, landmannalauger, skaftafell, Dyrholaey et retour à Reykjavik la veille au soir du départ. We are two travelers, who explored also the wonderful island Iceland. 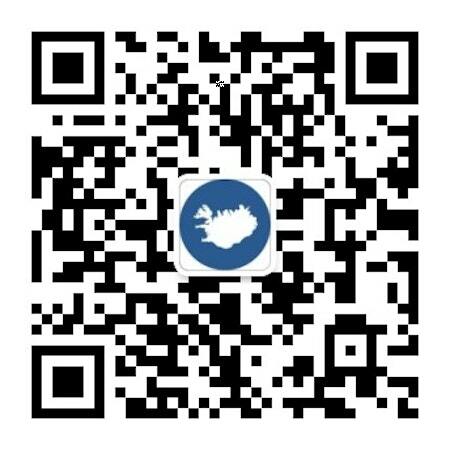 Chinese based in Iceland. Foodie and travel enthusiastic. Hit me up for anything you d like to know about Iceland! Michelle Joy is the publisher of Harbors and Havens, a blog that encourages readers to craft a life full of travel. With a British mom, an American dad, and a childhood spent overseas in South America, Michelle learned early on to appreciate other cultures and make friends in every language. She now brings that unique perspective to her travel writing, which has been featured in magazines worldwide, as well as online publications. Based in Houston, Texas, she spends about 25% of her time on the road (or in the air), sometimes solo but often with her husband, David. My name is Jeanne and I am a travelling photographer. Whether you are looking to find some photographic gem, find amazing places to stay, great restaurants to eat at, rest stops along the way, or just an amazing natural site to see I can share my recent experience from an amazing 2 week trip to Iceland. Arranging personalized tours, travel information. I own female travel blog, Wanderer of the World, which focuses on showcasing the best of destinations in a unique way. Although you're unlikely to find many 'Top things to do in X' posts on my site, you'll be greeted with inspirational, thought provoking and informative articles about destinations from around the world. Iceland has no shortage of beautiful waterfalls. If you’re out of the city, it’s almost sure you’ll have a waterfall within eyesight or at least a river! Even though the country has easily over a thousand beautiful falls, there are a few waterfalls that have become iconic, including Seljalandsfoss, Skogafoss, and Gullfoss, among many others. While these may be among the top sights you must not miss while in Iceland, I want to share with you four other waterfalls that are just as impressive and beautiful, if not more, but that are still mostly outside the tourist's spotlight. Find out what makes South Iceland so fantastic to visit! Southern Iceland is arguably the most popular region for tourists. With so many things to do and see, you could easily spend your whole time in this one region. The beauty of Southern Iceland is the vast amount of landscape and natural wonders you’re bound to see. You can choose between a variety of South Coast tours, or simply rent a car and drive yourself. The climate is often warmer in this region which only helps its popularity. If you’re visiting the region during the shoulder seasons, be mindful of the wet weather.